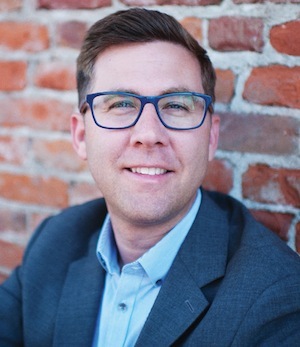 Researcher and author David Kinnaman will present the two-part lecture “The Present and Future of Spiritual Leadership” at the 2016 Pepperdine Bible Lectures at Smothers Theatre in Malibu, on Wednesday, May 4, and Thursday, May 5, at 9:30 AM. Kinnaman is the president and majority owner of Barna Group, a visionary research and resource company located in Ventura, California. Under his leadership, the Barna team created the FRAMES project—brief, meaningful books on contemporary culture. During Kinnaman’s 20 years at the firm, he has supervised or directed interviews with nearly one million individuals and leaders. He has designed and analyzed research for the American Bible Society, Columbia House, Compassion, Easter Seals, Habitat for Humanity, Integrity Media, the Salvation Army, Sony, Thomas Nelson, World Vision, Harper Collins, and many others. Kinnaman is the author of the best-selling books unChristian and You Lost Me, which focus on the spiritual lives of teenagers and twenty-somethings. Registration and accommodation rates vary, and tickets are required to attend. For additional information about this two-part lecture series, and to purchase tickets, visit the Pepperdine Bible Lectures page on the Eventbrite website.